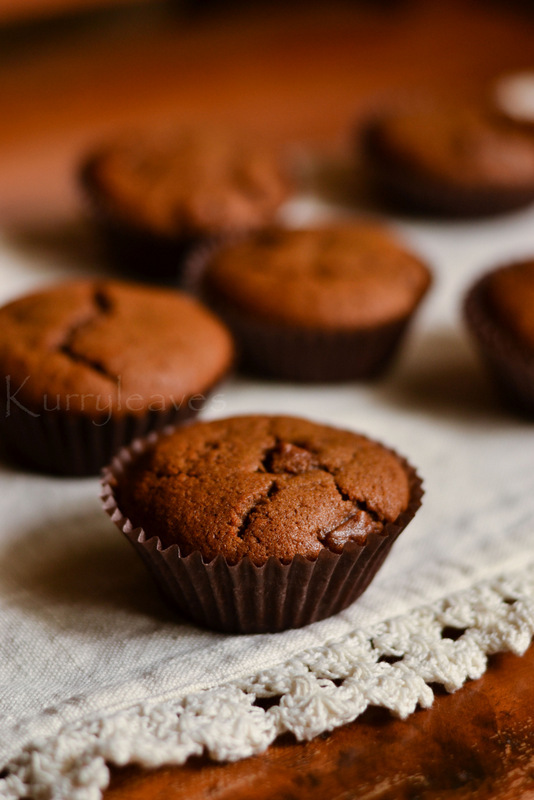 Vegan ,whole wheat , refined sugar free -Apple and chocolate muffins. Preheat oven to 180 Deg C.Line a muffin tin with paper cases , keep aside. 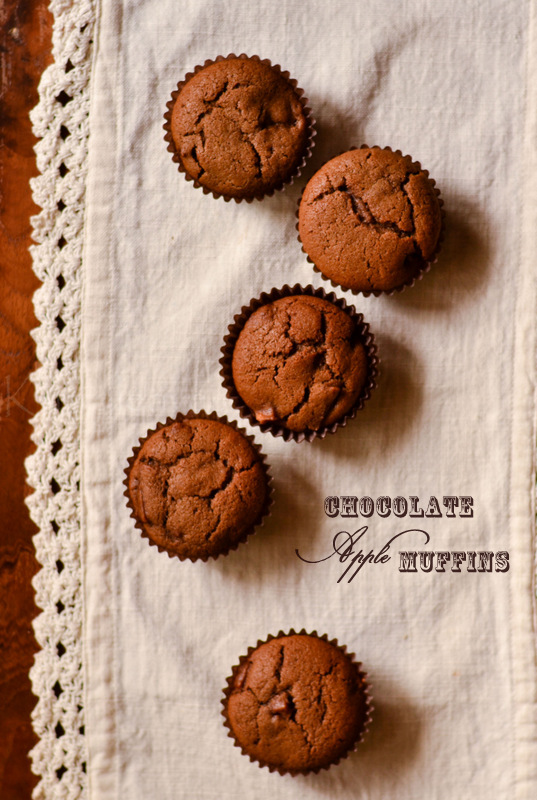 In a bowl,combine together whole wheat flour,baking soda,baking powder,cocoa powder and salt using a fork.Keep aside. In another bowl,combine together water,vegetable oil,vanilla extract and jaggery/cane sugar.Stir well until the jaggery is dissolved completely. Next add chopped apple and mix gently. 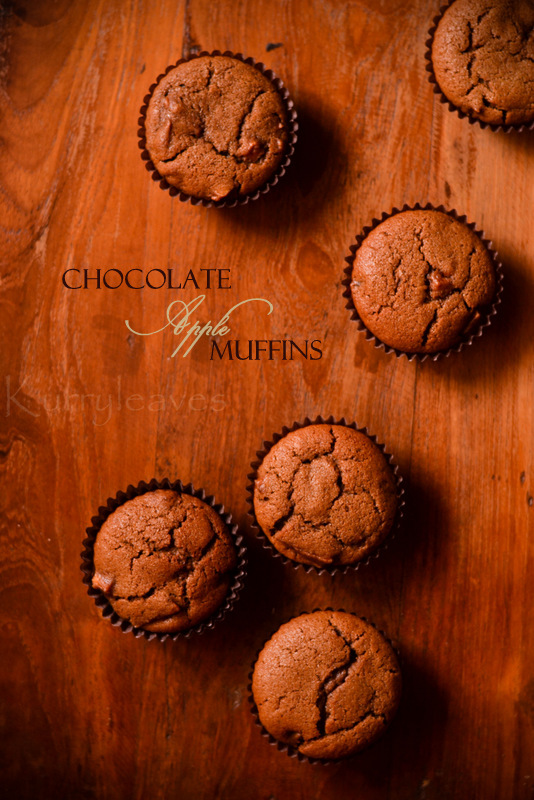 Using a spoon,fill the muffin cups 3/4 full.Bake for about 25 minutes or until a skewer inserted into the center comes out clean.Let cool in the pan for 10 minutes.Transfer to a wire rack to cool. never tried apple in cakes. looks so wonderful and such pretty clicks. Woww dear....I must say this recipe is foolproof. I made these today and it turned out just fab! My 20 mnth old baby loved it soooo much....m just waiting for my hubby to arrive home n taste it....I think its a must try recipe....gud job...keep going!